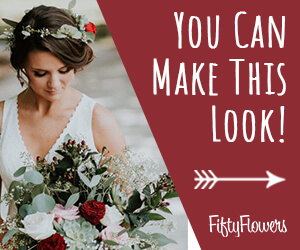 Make your own bridal bouquet that looks just like a professional florist did it! 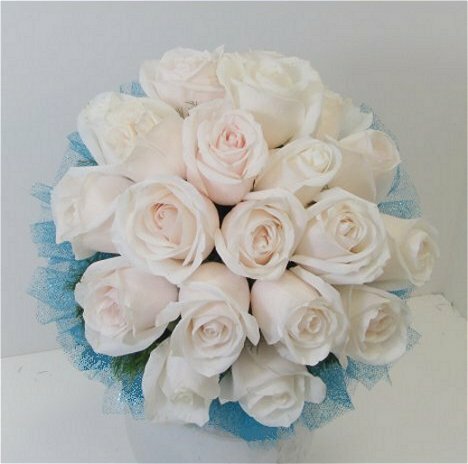 Don't feel you have to stick with this bridal bouquet's colors . . . but adapt them to feature your own favorite color scheme! Tulle collars can be made in white or colored tulle. The sparkle tulle used below adds an element of shine and sparkle to this finished bouquet.